Psychologists examined responses in a survey of more than 3,000 men on a variety of life factors, and found that just over a quarter who had probable pathological gambling problems had witnessed violence in the home as a child. Ten per cent also reported being physically abused in childhood, and a further seven per cent said they had suffered a life-threatening injury. Problem gamblers - those who have not yet escalated to a pathological problem, but are deemed to have a more serious addiction than non-problem gamblers - also reported higher rates of childhood trauma, with just under 23 per cent saying they had witnessed violence at home, and nine per cent experiencing physical abuse. In comparison, just eight per cent of non-problem gamblers witnessed domestic violence when they were a child, and less than four per cent had suffered abuse. The study, led by the University of Lincoln, UK, also found that 35 per cent of pathological gamblers had suffered serious money problems as adults, 29 per cent had been convicted of a criminal offence, and almost 20 per cent had experienced relationship breakdowns. In comparison, for non-problem gamblers the figures came in at just 12, 9, and 10 per cent respectively. The pattern of people who had previously suffered traumas in childhood or stressful events as an adult becoming pathological and problem gamblers remained even when other associated risk factors, such as substance abuse and homelessness, were accounted for. Interestingly, the more serious the gambling problem, the higher the percentage of reported childhood trauma or life stressors as an adult in all but two questions. 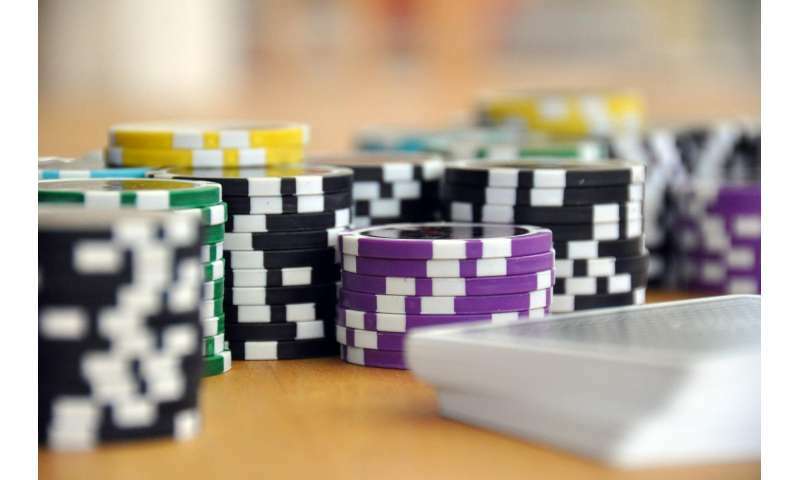 Researchers say the findings highlight a need for gambling treatment services to include routine screening for traumatic life events or substance abuse, so that treatments can be better tailored. Forensic psychologist Dr Amanda Roberts, from the University of Lincoln's School of Psychology, led the study. She said: "The links between gambling problems, trauma and life stressors have been known to exist for some time, but understanding the extent of these relationships will help early intervention and better treatment. "We have found that among men in the United Kingdom, disordered gambling remains uniquely associated with trauma and life stressors in childhood and adulthood after adjusting for alcohol and drug dependence. "Probable pathological gamblers and problem gamblers reported injuries, marital difficulties, homelessness, money problems and criminality more often than non/non-problem gamblers. Taken as a whole, this suggests that disordered gambling does not occur on its own, but that it is perhaps symptomatic of other social, behavioural and psychological problems of some individuals. "General experiences of stressful life events, such as job loss or homelessness in adulthood are not usually characterised by the same extreme psychological responses; this distinction is important, since associations with traumatic events might indicate increased vulnerability to developing gambling problems, while associations with other types of stressful life event, such as job loss, might indicate consequential harms associated with gambling." The results build on Dr Roberts' previous study which found that men who gamble are more likely to act violently towards others, with the most addicted gamblers the most prone to serious violence. The new findings have been published in the journal Addictive Behaviors.